The nonprofit Crossroads GPS says it's spending $5.8 million this week in Indiana, Maine, Nevada, North Dakota, Ohio and Virginia. WASHINGTON — A conservative Super PAC co-founded by Karl Rove and an affiliated organization are making their biggest buy yet in this year’s Senate elections, with a new round of ads costing $8 million that will target Democratic lawmakers in eight states. The states targeted feature close Senate races that American Crossroads and its affiliate, Crossroads GPS, have been investing heavily in over recent months. Combined, the two groups have said they are spending up to $70 million supporting Republican Senate candidates throughout the fall. U.S. Senate candidate Angus King. The nonprofit Crossroads GPS says it’s spending $5.8 million this week in Indiana, Maine, Nevada, North Dakota, Ohio and Virginia. The group has been a consistent player in most of those states, but last week ventured into Maine with ads targeting former Gov. 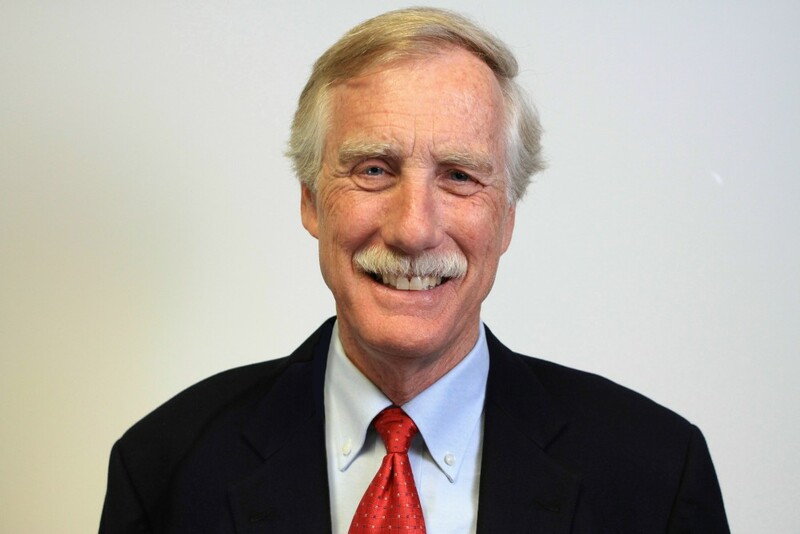 Angus King, an independent candidate. That strategy continues this week with an ad stating that he supported higher taxes and education cuts while serving as governor. King’s campaign has dismissed Crossroads as a partisan group that’s worried the former governor can’t be bought. Support for taxes was a major theme in several of the ads, but each was tweaked to match issues of importance to a particular state. For example, the ad running in Virginia criticizes former Gov. Tim Kaine as someone who supported tax increases and defense spending cuts. Meanwhile, the ad running in Nevada refers to a group called Citizens for Responsibility and Ethics in Washington, which cited Rep. Shelley Berkley as one of the most corrupt members of Congress for advocating for renal care physicians in spite of her husband’s kidney care practice. Berkley has rejected the claim and points out that an ethics complaint concerning her advocacy work was filed by the Republican Party. She also makes the case that she was trying to avoid cuts to Medicare coverage for hundreds of thousands of kidney patients nationwide. Ads from the American Crossroads political action committee will also begin running this week in Montana and Wisconsin at a total cost of $2.2 million. Democrats have a 53-47 advantage in the Senate, counting two independents who usually vote with the Democrats. The Republicans need a net of four seats to grab the majority if Obama wins and a net of three if Romney captures the White House and Paul Ryan, as vice president, can cast tie-breaking votes.